This week marks two months at my new job. As with every transition there have been highs and lows as well as adjustment periods; I have enjoyed the flexibility this new job offers me, as well as the financial gain. Surprisingly I have enjoyed the moments filled with stress, I think I am well suited to work under pressure. While I do hope to rejoin the fold of religious teachers and leaders sometime in my lifetime, currently my skillset is best put to use in the for-profit marketing world. Emphasizing to myself that I am serving God no matter where I am at, no matter what my vocation- I am a minster simply by living out the Gospel. The transition from non-profit to business was at first a struggle. More than a few stereotypes about sales and marketing turned out to be true, but nothing that I can't handle and nothing unprofessional. To be honest I feel the TV show "The Office" actually primed me well for this new environment. 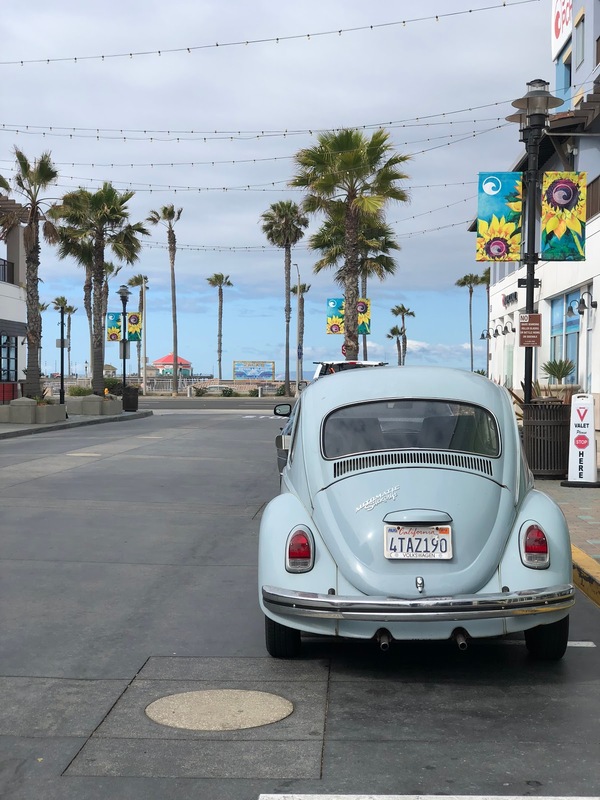 And speaking of environment, you can't beat working on Main Street in Huntington Beach. Sure, there are homeless vagrants around, and the occasional remnants in the form of bodily fluids left from the night before -- but all in all I am very happy here.